We all know that you are extremely busy, but they will appreciate you for making these small simple gestures. Wear the macaroni necklace to work. At least until you are safely out the door. Tape a family slogan to the refrigerator door and use it whenever your child feels discouraged. Like Unstoppable or We can, We will! Slip a note or a piece of chocolate into their lunchbox. Build your own Minecraft world right next to theirs. Say “Yes” to something that is usually off limits. Like sitting on the counter or eating popcorn in the living room. Show as much excitement at the amusement park as they do. If you argue in front of your child, make sure they also see you makeup. When their room looks like a tornado swept through it, close the door and get on with your day. Use Skype or Facetime with the grandparents once in a while. If your child has given their best efforts and is still miserable and truly wants to quit the team, give them your blessing. Let your little one stomp in a puddle once in a while. Get out some glitter glue and make a birthday card for your child. Take in a pet that needs a good home and a child’s love. Let your toddler fight their own battles on the playground before you intervene. Tweens: At this age, kids tend to be more focused on “stuff,” so your focus should be on differentiating between basic needs (clothes, food) versus privileges that kids have to earn (designer coat, new video game). For example, if your child decides they want a new video game or a second pair of boots, jointly come up with a schedule of chores to earn money. You can also offer a weekly allowance that is contingent on household responsibilities. This basic process not only helps children be grateful for what they have, but also helps them develop an overall appreciation for all the work that enables them to live comfortably. 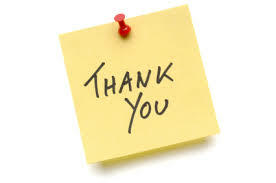 Teens: Keep the attitude of gratitude going by encouraging teens to come up with their own ways of expressing thanks. For example, they might post a photo of something they are grateful for daily on Instagram or write one note of gratitude a day in a journal. At this age, becoming involved in a cause or volunteer project is an ideal way for kids to turn their appreciation into action and experience how showing your gratitude can really make a big difference. See this kids story book on showing gratefulness. See more tips on gratitude. Leave us your comments. Your feedback is greatly appreciated. Let us know what other topics you would like to have discussed. Share this post with your family and friends. Keep on praising your child.